Wherever does Rowling come up with her amazing ideas? Well, in the case of Dobby, it could be any from a number of mythological sources, helpfully compiled by Eric Grundhauser of Atlas Obscura in his collection of household spirit-related myths. 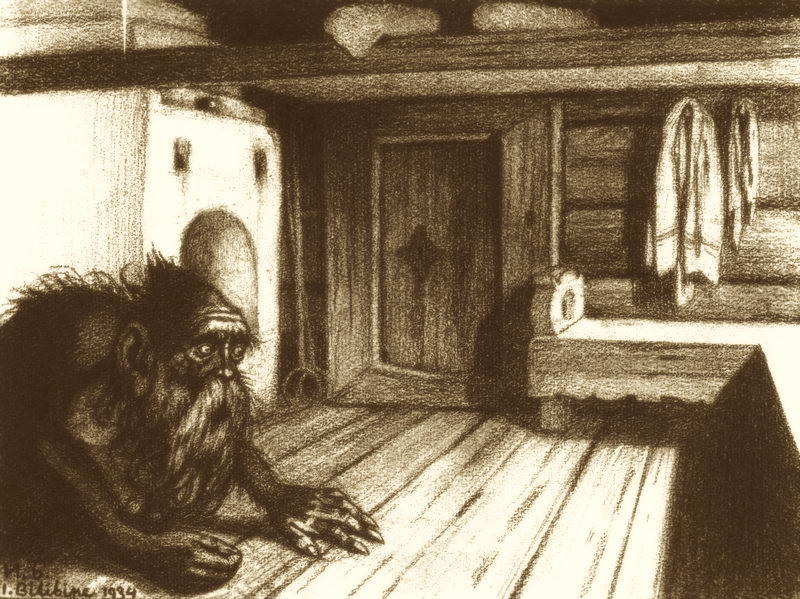 Originating in Slavic mythology, the hairy little imp known as the domovoi is one of the world’s creepier household gods. 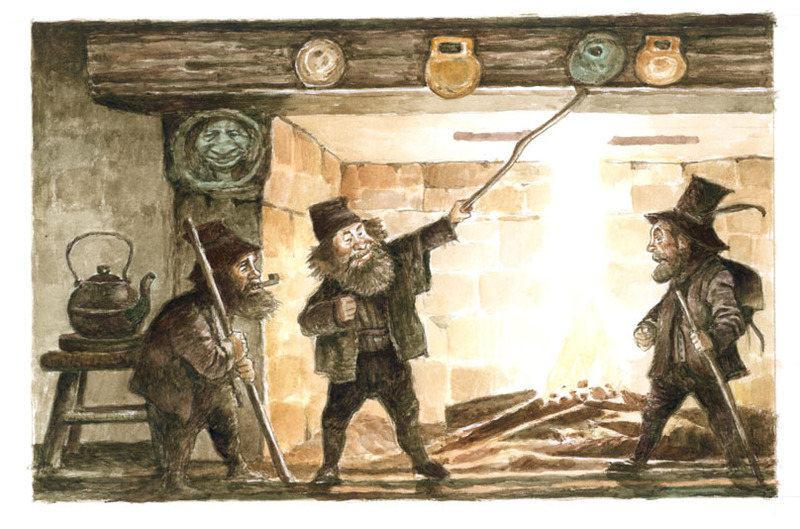 As the legends go, each house has a personal domovoi, which usually resides somewhere beneath the threshold, under the stove, or in the oven. The creatures are sometimes thought to be the spirit of the original head of the household. Domovoi take the form of a tiny old man, about the size of a small child, with a long gray beard. Sometimes they mirror aspects of a family ancestor or even the current head of the household. They can also take on animal form, appearing as a cat, a dog, or even a snake. To keep the domovoi content, you must keep a tidy household. The home needs to be kept in good condition, with dishes cleaned and put away, food not left out—unless it’s a small table offering to the domovoi. If the domovoi are happy, they might come out at night and perform small chores around the house and yard. However, if the domovoi becomes upset with the condition of the house or their treatment, they turn into pests, stealing small items, breaking things around the house, and disturbing people’s sleep, among other nuisances. When I die, remind me to come back as one. 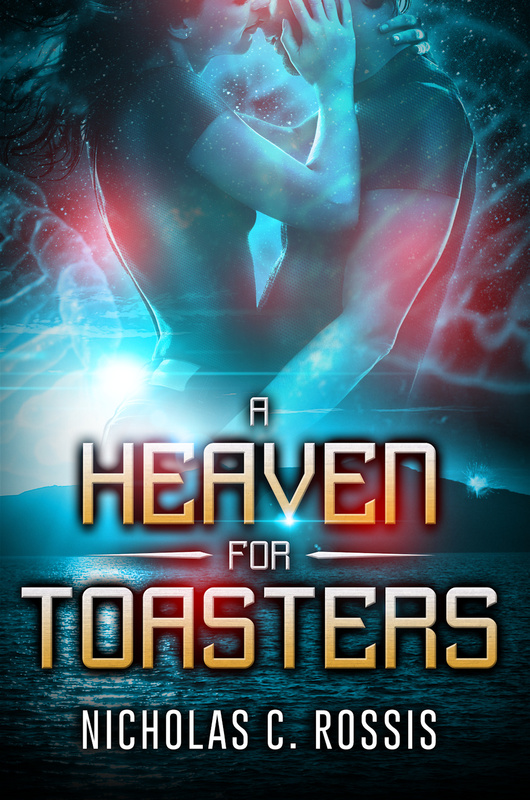 Although an afterlife in an oven sounds rather hellish if you ask me. In Finnish mythology, there is a type of spirit known as a “haltija,” which acts as a protector of someone or something. And among these spirits, the kotihaltia looks after the home. Similar to other European household imps, the kotihaltia is a little elf figure that can act as either a helper or a trickster depending on its temperament. Does this Trasgu look a bit tipsy to you? 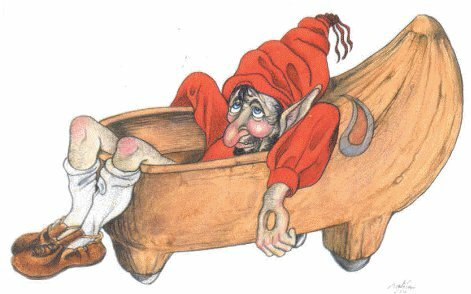 Originating in the regions of northern Spain, the goblin known as the Trasgu is another imp with a strange love of domestic chores and tendency toward mischief. Possibly related to the more violent and malevolent red cap of European folklore, the trasgu has more of an impish reputation than some of the more divine or ancestral spirits that can inhabit a home. Trasgu appear as small, spindly elves that wear red cloaks and red caps. Their other notable features include a limp and a hole in their left hand. Sometimes they are described as having horns. Trasgu should be provided with small amounts of food and access to a warm place to sleep, such as near a chimney. 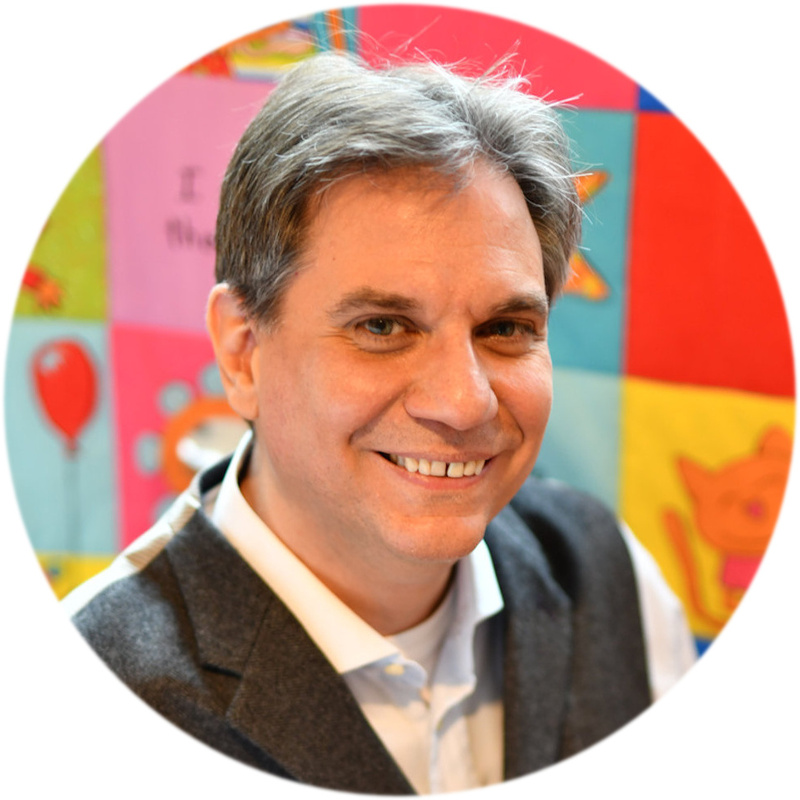 If they are happy, they will perform small household chores such as washing up, but if they are neglected, they will move and hide items around the house, break dishes, and make a mess. To get rid of a trasgu, legend has it that you have to assign them an impossible task, like picking up grains, which will fall through the hole in their hand. Eventually, they will get discouraged and leave the house. Although if you can chat with them, chances are you have more serious trouble than a grain infestation. Fine, in all truth it’s probably the hob that inspired Dobby. According to the folklore, hobs (as in hobgoblins) are a more variable type of household spirit which can also inhabit shops and farms, helping with the work there, and being less closely associated with a specific house or family. 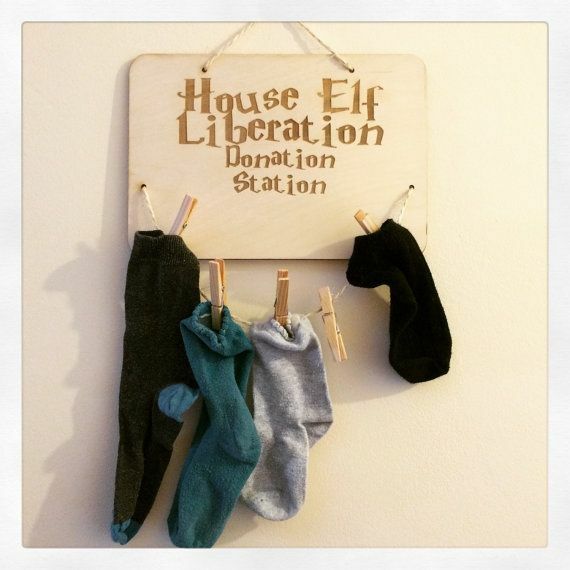 Not unlike in the Harry Potter series, hobs traditionally look like stunted elves that mainly come out at night to help with the chores, preferring not to be seen in their work. Household hobs are often a positive presence, but one thing they really hate is to be rewarded for their work. Traditionally, a hob will become offended and leave should the owner of the house try to give them a piece of clothing. However, pretty much any praise could be seen as an affront, and cause them to disappear. Just leave hobs to their work, and everything should be fine. 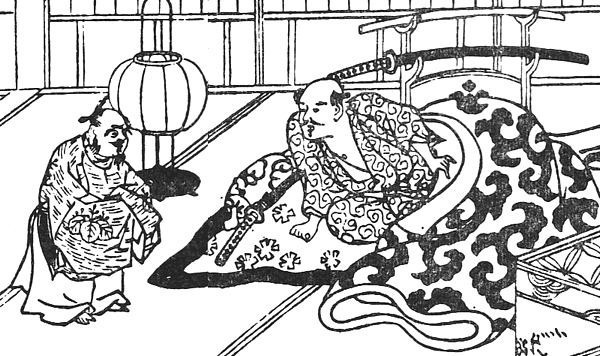 While some household spirits must be driven out in order to stop any calamity they might be inflicting on the residents, in the case of Japan’s zashiki-warashi, it isn’t until it leaves that you have to really worried. For the most part, the zashiki-warashi remain invisible, or appear as a plump little kid, but only to children. Zashiki-warashi usually only show up to the adults or owners of a house if they are preparing to leave. Should the ghost vacate the premises, it is a sure sign of impending doom and ruin. Best to just put up with their hijinks, rather than drive them off, and subject yourself to a ruinous fate. Zashiki-warashi tend to inhabit nicer, older houses. They are fond of playing pranks like making noise in empty rooms and unmaking the bedcovers. Despite this mischief, they are not seen as evil spirits, and if they take up residence in the home, it is usually a sign of good fortune. Rising up from the tales of Lithuanian folklore, the figure of Gabija is one of the more potentially destructive household deities. 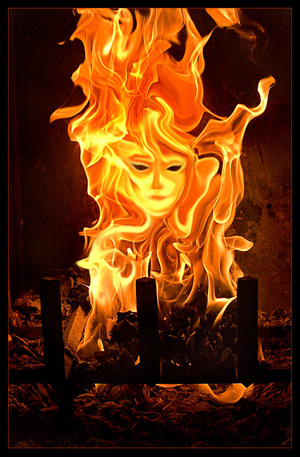 Unlike ancient Greek Hestia, another goddess of the hearth, Gabija is more akin to the living embodiment of fire than a benevolent hearth god. Gabija appears in human form as a woman clad in a red dress, although she can also take the form of a cat or a rooster. Paying respect to Gabija is as simple as observing proper care of your household flame. If the fire needs to be extinguished completely, it is wise to only do so using pure water, as any other liquid might anger the goddess. If Gabija becomes displeased, she is said to go wandering. In other words, fire would spread through your house. So, keeping her well attended could mean keeping your house from burning down. Terrific post, Nicholas. I loved each little story. I’ve never read any of Rowling’s work, but perhaps I should. The lengths that some people will go to, to try and get other people to tidy up. I find chucking everything they own into the bin works as well as any superstition. I wonder where the, ‘don’t reward the Hob’ concept originally sprang from? It does seem to contradict the rest of the tales. If it means I get a sauna, I’ll put up with a saunatonttu or two! ? I also think the hob is the most likely model for Dobby. Wish I had a Dobby! How interesting that so many different cultures have similar home hobgoblins. How do I go about getting some in my house? Ooh, not sure that’s a good idea, mate. Just think of the fire insurance premium. I have never read any J.K. Rowling, but that list of household visitors has got me worried. If they all visit at once, there’s not much room in this small bungalow! Well, you’re in England, so you’d probably only get the odd hob or two. You’re good, mate.